Almost 70 academics, including renowned US scholar Noam Chomsky, have called for the "immediate reinstatement" of a Nottingham University lecturer. Dr Rod Thornton claims he was suspended for writing an article criticising the university's treatment of a student arrested by anti-terror police in 2008. The 67 professors and doctors, from universities around the world, said they were "deeply concerned". 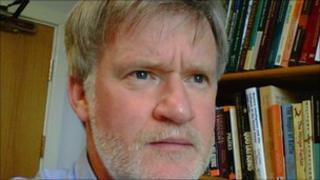 Nottingham University has said Dr Thornton's paper is defamatory. In May 2008, counter-terrorism officers arrested and questioned pupil Rizwaan Sabir along with Hicham Yezza, who worked as the principal school administrator at the university's School of Modern Languages. He also said the document in question had been available from Nottingham University's own library. A spokesman said: "Academic freedom is a cornerstone of this university and is guaranteed in employment terms under the university's statutes. In a letter published in The Guardian, the group of scholars, including philosopher and cognitive scientist Mr Chomsky - based at the Massachusetts Institute of Technology (MIT) - said the original arrests were "perceived as being indicative of a growing tide of Islamophobia". They wrote: "The claims he makes are very serious and should be subjected to a full and proper inquiry: they cannot be ignored. "We call for the immediate reinstatement of Dr Rod Thornton and call on the University of Nottingham to openly and thoroughly examine the claims made in his research. We also request that an independent inquiry be conducted into the university's actions on this matter."